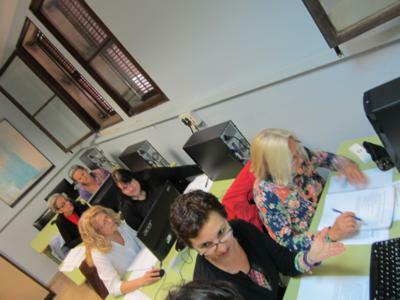 Some said the ICT contents have helped them improve their digital competence. Others pointed out the issues about gender which according to them help them build more self-confidence. Do you think that the three sessions devoted to a specific topic are enough? Some suggested adding a couple of sessions. Has this course raised your interest in ICT? Those women who do not have a lot of experience regarding ICT have answered positively to the question, the rest who are already more experienced have answered not sure. 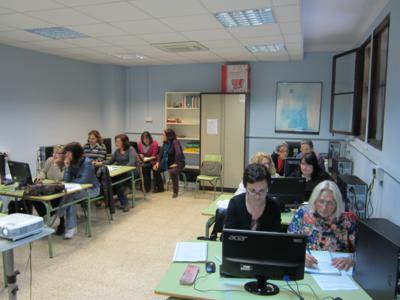 After attending this course, do you think that your digital competence has improved? Any other Comments about the course? Some explained that now after spending a school year working together in the Lady Café Project, they feel that bonds of sorority have grown among them. Others wrote that after the first year of the project they feel like continuing working in the same line and participating in the activties that they are going to be carried out next year. Two students who did not have a lot of experience with ICT explained that they had learnt a lot with the course and would like to continue learning in the future. All agreed on the fact that it is necessary to keep on including gender issues in our courses. Thank you for taking the time to complete this evaluation questionnaire. We value your comments and will take note of them for future programming. 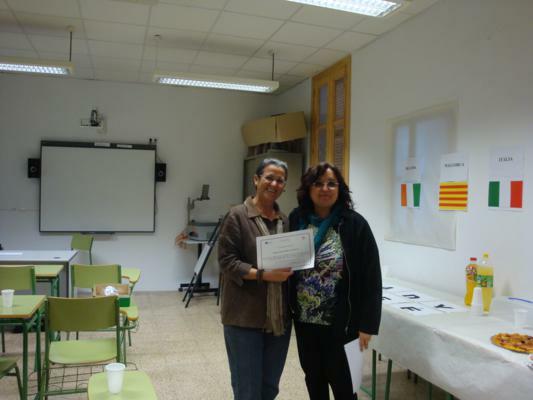 A total of 8 women answered the questionnaire on the very last day of the course. Our ICT course set up as part of this project took place during the months of April and May 2013. The course was made up of a total of 10 sessions of an hour and a half each. The contents were organized in three main blocks. As regards the first block, taught by M. Josep Carrasco and Isabel Peñarrubia, the main contents were the concept of male and female stereotype in our society. This was worked through the use of powerpoints presentations in which the students had to create a presentation of a new model of a well-balanced couple without stereotypes. After their creation, the presentations were uploaded on Google Drive and were shared among the students. 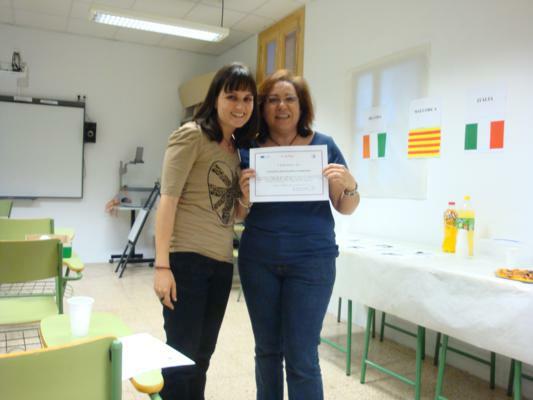 As for the second block, taught by Margalida Mascaró and Eva M. Vives, its main contents were the use of Facebook as a tool to share information, links, pictures, videos with other women. Thanks to this social network, we decided to create our own space entitled Lady Cafe CEPA SON CANALS in which women created a profile tointeract with one another and participate in the different activities designed for them. Thus, the main activities in the second block dealt with sexism in the media (past and present) and advertisements The women were provided with different advertisements and were asked to comment on and analyze them on FB. Concerning the third block, taught by Maite Vidal, here the impact on advertisement on women was analyzed in terms of healthy body, diets, etc. 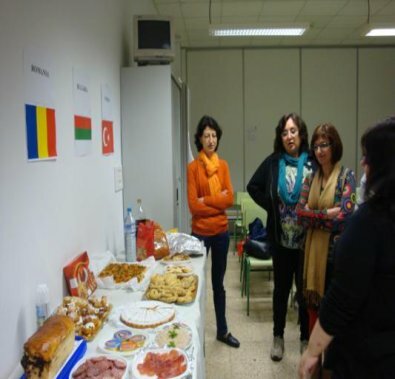 In the same way, related to food, the women were asked to carry out a research on gastronomy from the different countries participating in the project. One of the students who happens to come from Romania carried out a presentation on Romanian gastronomy and culture. 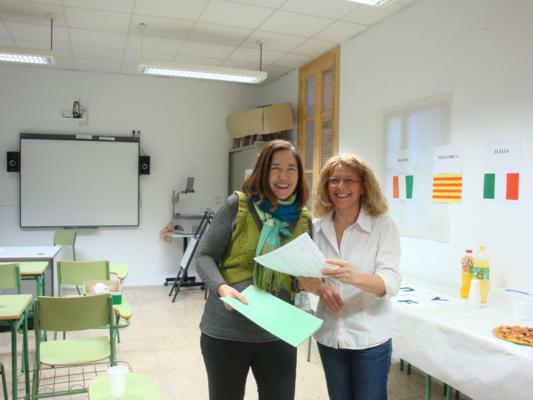 The women thanks to the tool of powerpoint made a selection of multicultural menus. The very last day of the course students and teachers alike cooked different dishes from the participating countries and gathered at a final party to celebrate and taste the different cuisines. Copyright © 2019 Lady Cafe. All Rights Reserved.